Before a shovel went in the ground to develop Waverley West, the City of Winnipeg had identified a recreation deficit in the SW quadrant of Winnipeg (SEE Page 19 – General Council of Winnipeg Community Centres Plan 2025). 1. City funding was secured (2016) to purchase land for a recreation complex, but since no land was set aside in the planning of Waverley West, the City’s Planning Dept. is still reviewing options. 2. City funding was secured (2016) to conduct a recreation campus planning study. The City issued two Requests for Proposals (2016 and 2017), but because errors were made, both Requests for Proposals were cancelled. The funding remains with the City’s Planning Dept., and will be used for other aspects of Community Centre planning in future. I recognize large projects take time, but also recognize this is not a top priority for many at City Hall ~ leadership included. This project has been one of my top three priorities since being elected. At this point in the development of Waverley West, I find it is beyond belief that there are still questions about the ‘need’ for a recreation complex in the SW quadrant of Winnipeg. The intent of asking for $30M is part of ‘planning’ for a recreation complex. For specific details, see Funding & Progress Update on my website. 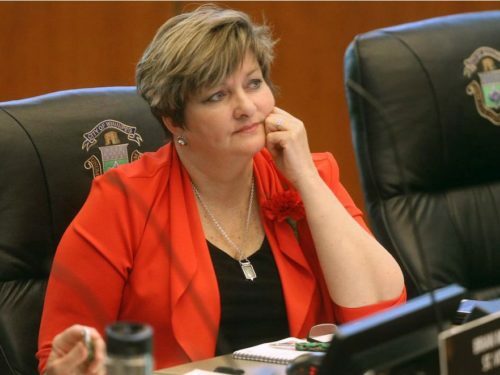 City budget planners will be asked to consider a $30-million funding boost for a South Winnipeg Recreation Campus but it’s unclear how that request will fare against other projects. Coun. Janice Lukes (South Winnipeg-St. Norbert) alleges poor planning has left Waverley West especially lacking in city services like rec centres. “There’s been such a lack of planning in relation to (Waverley West) since Day 1, it’s embarassing,” said Lukes. “It’s mind-boggling that no land was set aside for a community centre,” she added. Lukes’ motion said Winnipeg’s recreation policy would require another 4.5 community centres to meet the population demand in Waverley West. The city’s parks and community services committee discussed the budget submission Monday but noted it will compete against plenty of other recreation needs. Coun. Janice Lukes made the multi-million-dollar funding request for the project, which has neither a solid location nor cost estimate, while bemoaning the ‘lack of planning’ to date. Despite an “embarrassing” lack of planning to date, a city councillor is trying to line things up so a major recreation centre can be built sooner rather than later. On Monday, Coun. Janice Lukes addressed the protection, community services and parks committee seeking $30 million in capital funding over the next five years for the construction of a multi-use recreation campus that would support the rapidly growing population of the Waverley West area. The committee referred the $30-million ask to the 2018 budget process for consideration, but—much to Lukes’ dismay—there’s still a lot of planning to be done before the plan gets to the construction phase. The city has budgeted $350,000 for planning, but the request for proposals for design work has been issued and cancelled twice before being filled, so the city still has no firm estimate for the project’s eventual cost. In anticipation of federal money being made available to support recreation projects, Lukes is also moving to spend $125,000 of her own ward’s funding to secure a business plan, design work, and refined budget. “I’m going to be using my own ward money to get the job done because we need to have a number,” Lukes said. There’s also $4.1 million already set aside for land acquisition, since “no land was set aside,” Lukes explained, but acquisition negotiations are still ongoing. What she does know is that Waverley West is anticipated to be a community of 40,000 people before long, and the southwest quadrant of the city had insufficient recreation centre space even before the community started growing, according to the city’s space-to-population-ratio for rec-centre planning. “We know we’re going to be building (it) there, so I want some money set aside in the budget so once we get our planning together and land bought, we’ll have the money to build,” Lukes said. Committee chairperson Coun. Mike Pagtakhan said he knows the recreation campus “is needed,” but added it’s competing with a lot of other needs, and will still be in the city’s recreation facility master plan if it’s not funded in this budget. “What I’m saying is that if we’re not able to do anything this time then it’s still not lost,” he said.